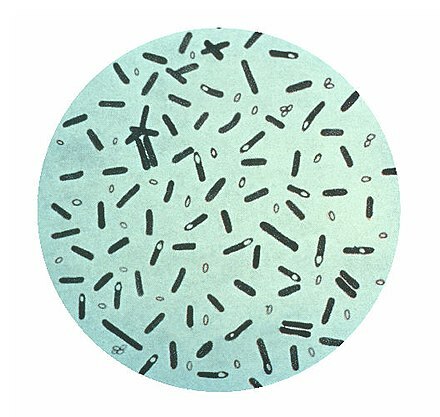 List of Prokaryotic names with Standing in Nomenclature (LPSN) is an online database that maintains information on the naming and taxonomy of prokaryotes, following the taxonomy requirements and rulings of the International Code of Nomenclature of Bacteria. The database was curated from 1997 to June 2013 by J. P. Euzéby. From July 2013, LPSN is curated by Aidan C. Parte. Bacterial and Archaeal taxonomy is updated through the journal International Journal of Systematic and Evolutionary Microbiology (IJSB/IJSEM). LPSN is hosted by gandi.net servers located in Baltimore, USA. The site, in addition to keeping track of current taxonomic names, has several reference resources explaining minimal standards for the description of new taxa, Latin and Greek grammar aids and lists culture collections worldwide which deal in prokaryotes culture. References^ Wackett LP (5 June 2014). 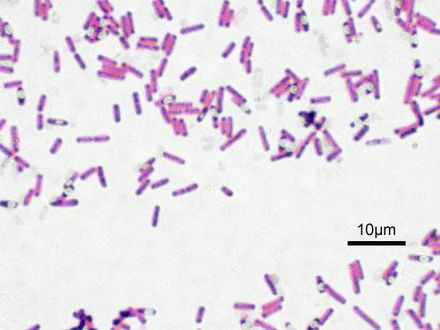 "Microbial strain collections and information"
Dictyoglomus is a genus of bacterium, given its own phylum, called the Dictyoglomi. 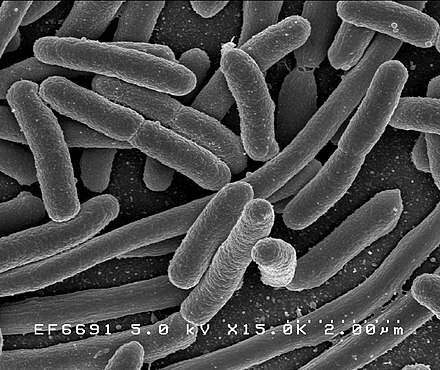 This organism is extremely thermophilic, meaning it thrives at extremely high temperatures. It is chemoorganotrophic, meaning it derives energy by metabolizing organic molecules. This organism is of interest because it elaborates an enzyme, xylanase, which digests xylan, a heteropolymer of the pentose sugar xylose. By pretreating wood pulp with this enzyme, paper manufacturers can achieve comparable levels of whiteness with much less chlorine bleach. It has been described as Gram-negative, with a triple-layered wall. References^ J.P. Euzéby. "Dictyoglomi". List of Prokaryotic names with Standing in Nomenclature. Archived from the original on 2011-06-13. Retrieved 2011-06-05. ^ See the NCBI webpage on Dictyglomi. Data extracted from the "NCBI taxonomy resources"